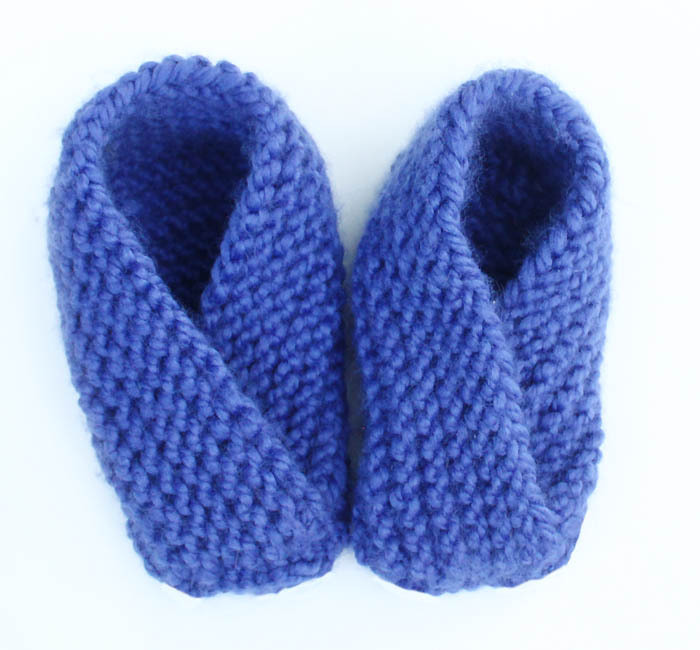 I’ve received many requests for an adult version of my Easiest Baby Booties knitting pattern and today I’m happy to share it with you this Easy Slippers Knitting Pattern! I did these in 2 sizes: women’s S/M and M/L. Happy knitting! 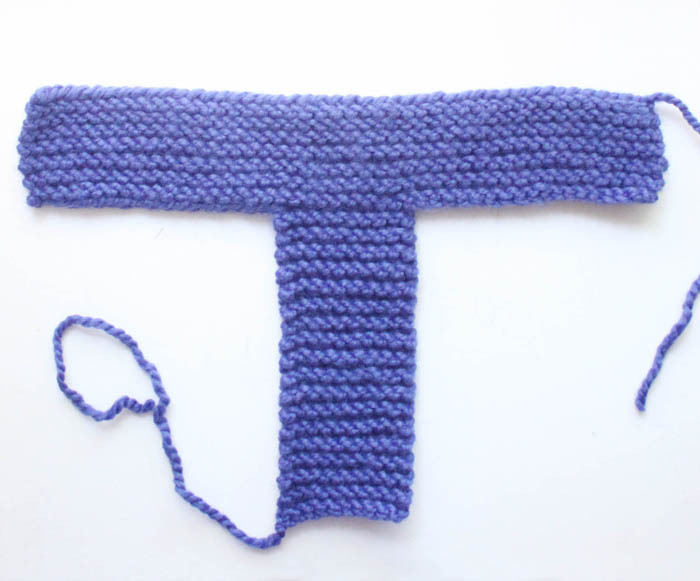 Want more Free & Easy Knitting Patterns? Cast on 46 (50 for M/L) stitches. Work in Garter Stitch for 12 rows. Bind off 18 (20) stitches at the beginning of the next row. Finish row. Bind off 18 (20) stitches at the beginning of the next row- this leaves you with 10 stitches in the middle. Garter Stitch remaining stitches for 8 3/4 (9 1/4) inches. Bind off. Hi Gina, love these and am going to make your baby version. Could you give me an idea of what sizes the women's are equivalent for the s/m and m/l? thanks. Hi! Can you please tell me which wool-ease you used for the adult booties? Was it the original medium worsted, chunky, or thick and quick? 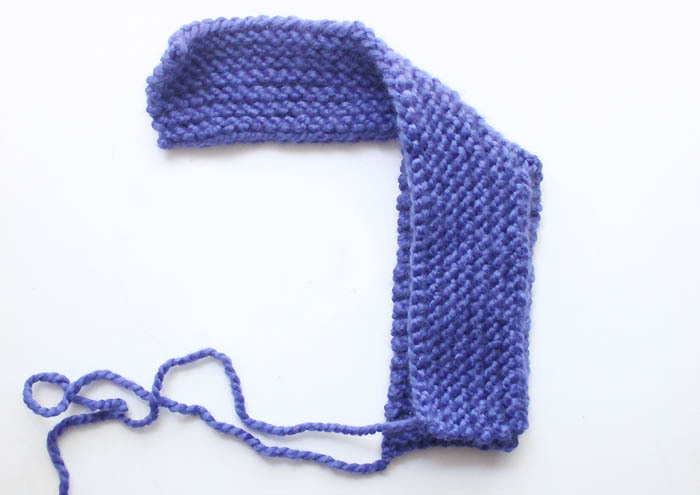 The yarn in your pictures looks thicker than the medium worsted I used for the baby version. Thanks for your time! Is the yarn woolease thick and quick? I'm a bit confused. In the baby pattern, as you go up in size, the amount of rows goes up. 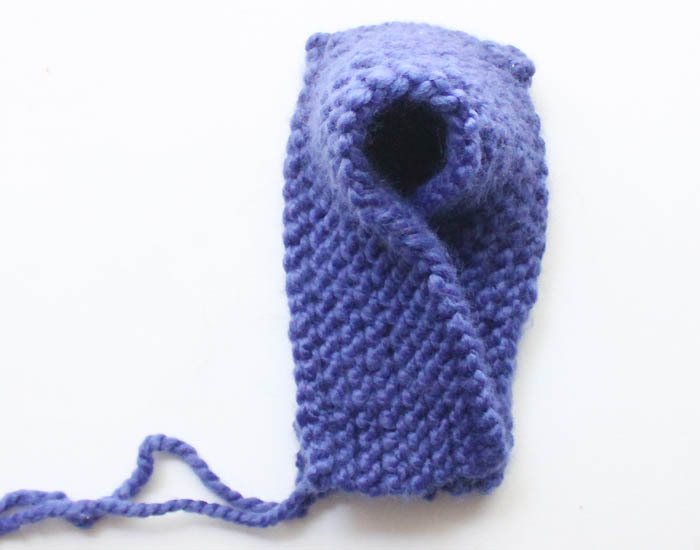 But for the adult size, as the cast on amount goes up, the rows you knit does not. Is this correct? Is there a toddler size pattern? Size 3/4? 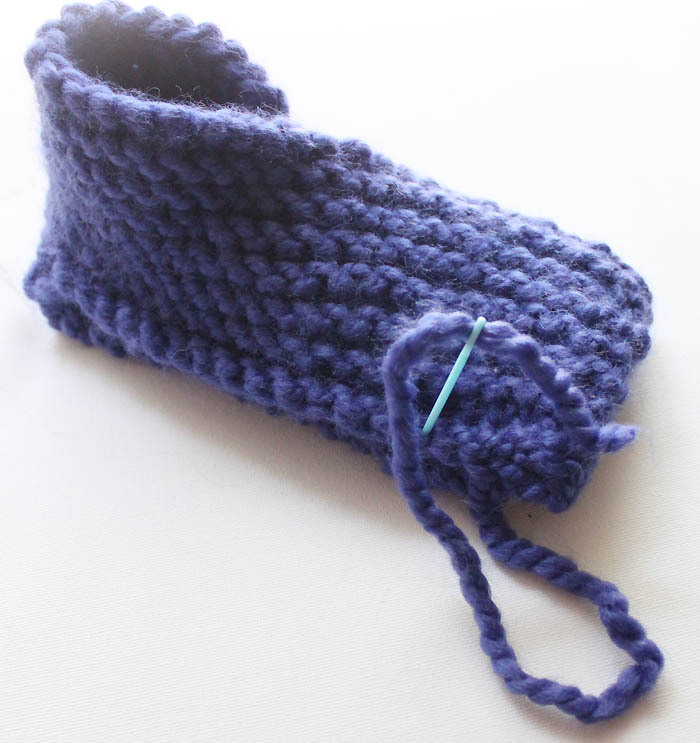 I don't know if I misread but what size needles do you use for the baby booties. Hi, Kraftygranni here. I want to enlarge the toddler size foldover slippers to have. a 5.5" foot bed. I tried adding stitches but obviously didn't use the right combinations. Could you help me please? The child wears a toddler size seven shoe. 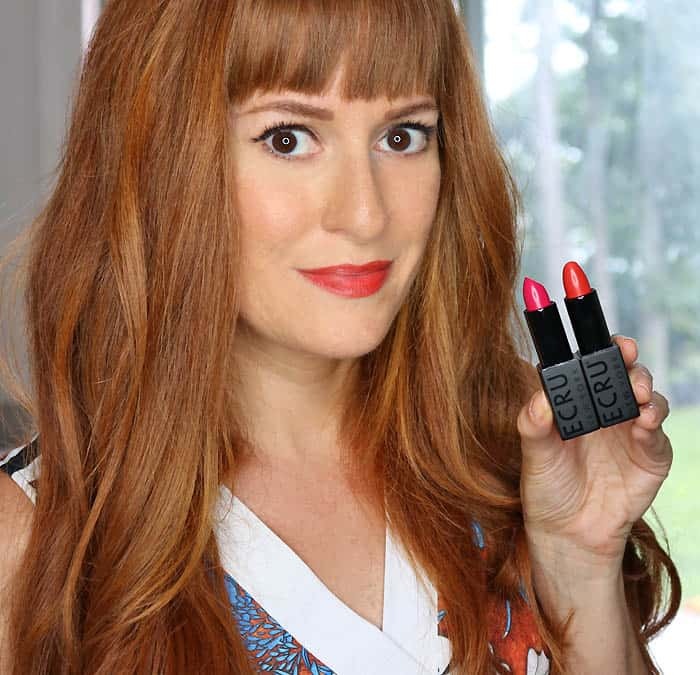 Thanks for your help….love your patterns! Hi Michele, were you able to write the pattern for the toddler size slippers? Will I find it on this page along with the baby size pattern? Thanks again for your help. Thank you, thank you sooo much! I'll be back for more of your patterns. 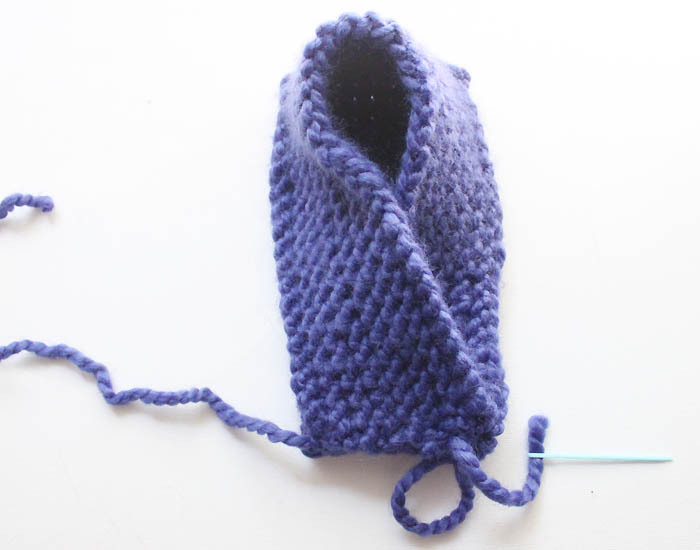 I'm knitting these slippers for my women friends/relations for Christmas. Can you provide me with a pattern for men sizes? I love this pattern, but need to make some for the men in my family! Can you tell me how many stitches for a men's M/L size? Thank you so much. Thanks – I'll be on the lookout for it!